This morning, after my daily hike, I sat down to breakfast over Santa Fe’s local weekly paper, The Reporter. This week’s edition is all about how to get more active in Santa Fe: gym memberships, running clubs, cricket teams, even Friday night kickball in the park. Along with all this helpful info was a series of US maps showing obesity trends over the past 25 years. In 1985, only eight states had an obesity rate over 10 percent. In 2010, all 50 states were above 20%, and in 12 of those, a third of the people are obese. Keep in mind this is tracking obesity – a body mass index (BMI) of 30 or higher – not just people who need to lose a few pounds. The article briefly cites a few of the fattening reasons behind the trend: socioeconomic factors, the decline of real food and our increasing reliance on cars to get us everywhere. This last point reminded me of a website I stumbled upon a few years ago at www.walkscore.com. You put in your address and it tells you how walkable or car dependent your neighborhood is by calculating distances to amenities like grocery stores, schools, restaurants, coffee shops, parks, banks, bookstores and bars. Really, the Walkability Index is just a judge of how rural your place is. Four of the places I’ve lived get a zero: Cerrillos, New Mexico; Florence, Montana; Wren, Oregon and Tenants Harbor, Maine. A walkability score of zero actually means the walking is probably epic, as it has been in all of the “Fully Car Dependent” places I’ve lived, as long as you don’t insist on arriving anywhere commercial. Just this morning I went for a three mile hike right out my back door and didn’t see a single soul except for two coyotes and some ravens. But it’s true that if I didn’t have a car here I would quickly starve to death. My brother in my big backyard. All the walking you want, just no grocery stores. My three highest scores for places I’ve lived are Charles Village in Baltimore with an 86, Ann Arbor, Michigan and Lancaster, Pennsylvania, both with a “Walker’s Paradise” 91. My friends with the best scores live in central neighborhoods in major cities. My friend Tim in New York City enjoys 97% walkability and Becky in Philadelphia gets a 92. The worst are the places in between: the suburbs. My hated apartment in Alexandria, Virginia where I lived for three months during a summer internship gets a 68. It was too crowded for good, peaceful recreational walking (i.e. Bowie had to be on a leash everywhere we went), but too sprawly to live without a car. Friends of mine living in Groton, CT (Walkability score 20), East Palo Alto, CA (54) and Fort Lauderdale, FL (51) are stuck in this kind of suburban limbo. I should note that Drew in East Palo Alto either walks or rides his bike the three miles to work everyday, as I did in Alexandria. Years ago, when I adopted Bowie, I got into the habit of taking a long walk every day. I quickly lost about 20 pounds of college weight and have had no trouble maintaining a healthy weight since. Human beings have one of the most efficient walking strides on the planet. We evolved to walk anywhere and everywhere we want to go. I’m all for joining a gym, going running and playing cricket, but I bet our staggering obesity index would be helped enormously if more people took a daily walk, whether it be a few blocks to the store or to the horizons. 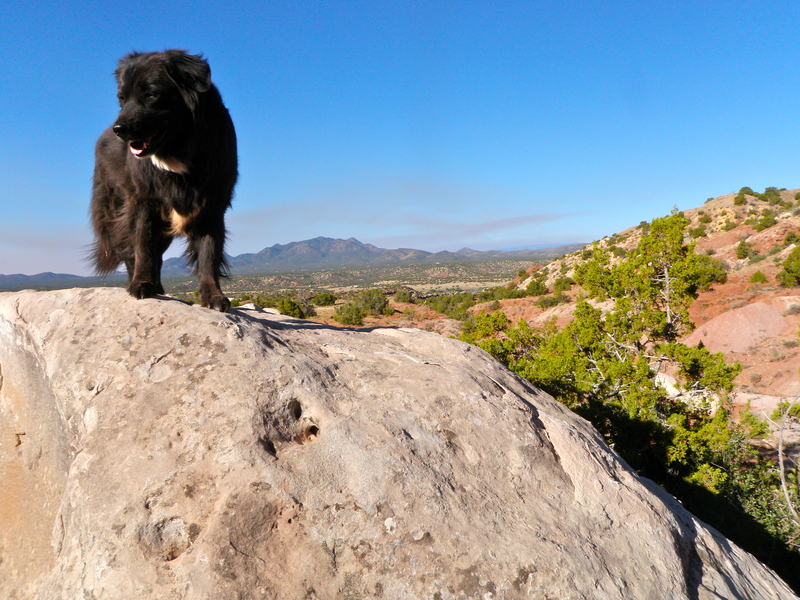 This entry was posted in Bowie & D.O.G., Hiking!, New Mexico, Vagabonding 101. Bookmark the permalink. 2 Responses to How Walkable Is Your Town? Doctors say we should all do at least 30 minutes brisk walking, 3 times a week to maintain good cardio function. My current town has some good walking areas, but I have to drive to most of them! At least my local beach is only 10 minutes walk away and offers a long walk at low tide.